When I heard Keith Urban say the above words during last weeks’ airing of American Idol, I had a YES moment. These are words that I often want to say to beginning writers whose work I critique. These are words that every creative person needs to hear. These are words that I need to tell myself as I parent my children. Urban was referring, of course, to the many contestants auditioning for American Idol who have failed to be truly competitive. What holds them back is often not a lack of talent. It is the failure to hone that talent. They have not improved because they’ve never opened their minds to the possibility that they need improvement. They have not looked for their flaws, seeking to eradicate them, because they’ve been told they are flawless. I think this is an important thing to keep in mind for every professional. It is crucial for people like writers who work in a highly competitive field. Years ago, I was in a critique group that met monthly. Two members of my group, every single month, wrote GREAT across the top of my manuscript. That five letter word didn’t help me at all. It made me want to scream, “If it’s so great, why hasn’t it sold? Tell me what’s WRONG with it!” But of course, I never did that. Instead, I eventually quit the group. Now, I occasionally critique the work of other writers professionally. One writer whose work I’ve had the pleasure of reading is now blogging here at Nerdy Chicks Rule. Before I met Mary, her manuscript came to me with a note that said something like, “I want to know what I can do better. Give it to me straight. I can take it.” While that entire quote is not verbatim, I am positive the last three words are. They stood out. I could tell Mary was a writer who wanted to learn and improve. I immediately knew I’d like her. And I did! Whether you are an author seeking publication or a singer seeking idolization, it is important to get feedback from someone who will point out your weaknesses. Your work is your own and you have to make final decisions about it for yourself. But I advise writers to look for feedback from the kind of person who will tell you if you have broccoli in your teeth, onion breath, or toilet paper stuck to your shoe. These are the people who want to save you from embarrassment. These are the people who will say, “That’s not so good.” By telling you NO, these people will ultimately help you hear YES! Used with permission from Debbie Ridpath Ohi at Inkygirl.com. 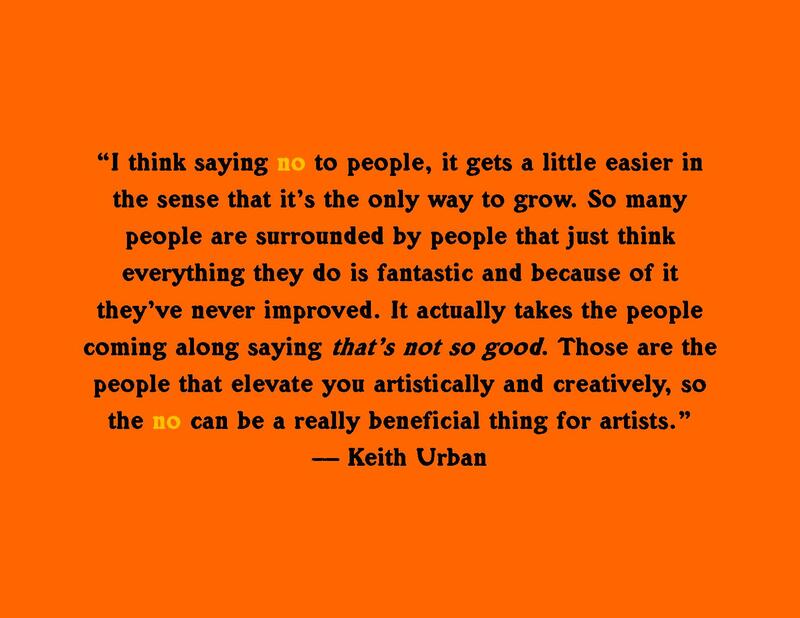 This entry was posted in About Writing, On Writing and tagged American Idol, Author Critique, Critique Groups, Failure helps improvement, Keith Urban Quotes, Self Improvement, writers. So true, Kami! Yes, when I send in my work for one-on-one critiques at conference or workshops, I always ask my critiquers to “channel their inner Simon Cowell.” And when we met, you did that and I am thankful (although you are much, much nicer than Simon!). Shoot. I wish I HAD remembered your exact words… now I remember the Simon comment clearly! I am constantly telling Kami everything that is wrong with her. She loves it. Either way, it makes for a short conversation! So funny! And so true, it’s nice to hear encouragement but it’s also good to see where I’m going wrong or where I could improve because otherwise I’m just full of self-doubt but I don’t know where to start to change… If any of that made sense. Makes perfect sense! We all need direction, especially when we are going the wrong way! Great post. I loved it when Keith said it – and this reflection brings it to life! Going to share on my Facebook page. Fantastic advice! I can’t imagine a critique-less critique group. Shared a link on the Writers’ Rumpus FB fan page. Thanks so much Marianne! And thank you for spreading the word. Nice post — great way to look at things! !